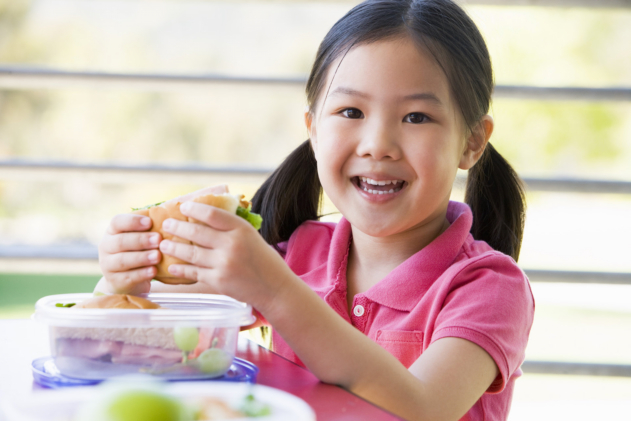 Why Parents Should Care More About Food At School | Advance Childcare, Inc.
Children need the right food and proper nutrition every time – even at school. The importance of checking the food at school often gets neglected. Parents should start considering the healthy food as one of their criteria for schools, especially in early childhood education. During early childhood, the food we take in can greatly affect our overall development. It can affect physical growth as well as mental development. The right food can promote and improve the learning abilities of our children. With this in mind, the importance of food should become more of a priority for parents, especially at school. So, why should parents care more about proper nutrition even at school? First of all, children spend most of their time at school. Often times they eat at least one meal and two snack foods at school. That is about half of their daily intake of food. Therefore, the school is basically responsible for half of the nutrients they take in for the day. If the school gives the wrong food with low nutritional value, it will surely affect the child’s overall health and development. Secondly, the food they eat at school can affect their learning. With the right food, the children will be able to function and be alert at school. The wrong food, however, could make them lose their energy, distracted, or easily hungry. Children need the right food in order to show their full potential in school. Another reason is that the school setting has a very structured routine. Therefore, the meal and snack foods that the children get in school could pave the way to health habits in the future. If they eat the wrong food, they will get accustomed to it. If they eat the right food, it would be a great way to instill healthy eating habits in them. The school and/or the care center has a big role to play when it comes to the nutrition of young learners. They should add more emphasis and put more priority on the food they serve. With the help of Advance Childcare, Inc., it is not only possible to do those things, it becomes easier. Advance Childcare, Inc. is highly regarded as a CACFP sponsor for Child Care Centers. Our CACFP or Child and Adult Care Food Program in Texas provides nutritious meals and snack foods to children much easier and more beneficial. Our CACFP management system makes CACFP tasks easier by simplifying and automating much of the work! To find out more about our Child and Adult Care Food Program (CACFP), you can visit our site at advcc.org. For inquiries, you contact us at 903-872-5231 ext 302 or e-mail us at info@advcc.org. This entry was posted in Healthy Meals and tagged Mental Development, Parent Tips, Proper Nutrition. Bookmark the permalink.